Yesterday I ran 10 miles in 1 hour 12 minutes and 38 seconds. It’s my fastest time for 10 miles and, although I was aiming for 1 hour 10 minutes, I am very happy. The killer was turning a corner at 8 miles and heading in to the wind for the final two. Usually when I run 10 miles along worthing seafront, the last two are slightly downhill with the wind behind me. So it was rather frustrating not to be able to speed up and really push on to the end. I came 770th out of 24000, which really isn’t bad at all. 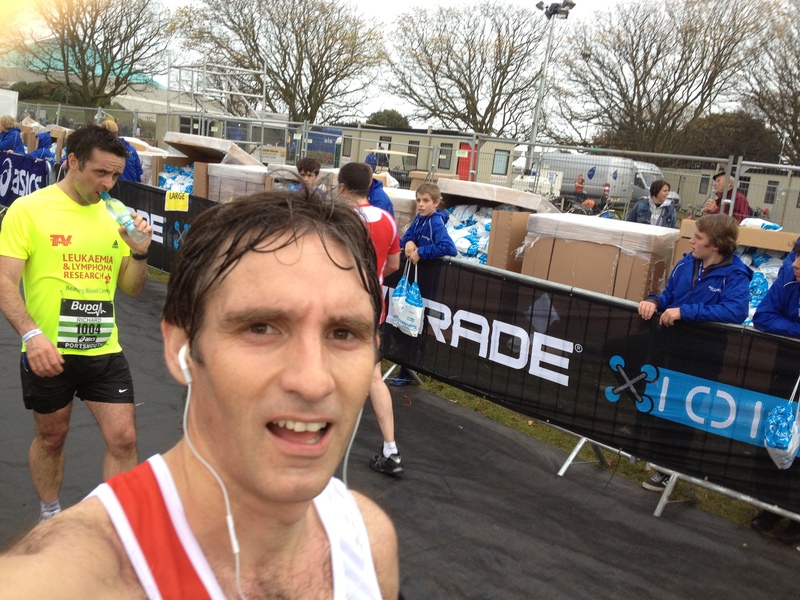 I was 107th in my age category and I came second out of the 140 British Red Cross runners. What is more I had a free massage at the end with as much tea or coffee, Mars bars, bananas, shortbread and fruit bread as I could eat…and two free t-shirts!! Had an absolutely fabulous time all day. We arrived about 7:30 and were one of the first cars parked on Southsea Common. Victoria noticed, as we were drinking our flask of coffee, that we were parked behind number plate RUN 400M which is Iwan Thomas’s car. He finished in about 1 hour 14 minutes. I passed him about half way round the course. Victoria and the children went off shopping whilst I ran and we met up after. We ate the most enormous burger at Tiger Tiger restaurant in Gunwharf Key and had coffee at Nero. Eventually got home around 7pm.